The President of India, Shri Pranab Mukherjee held discussions with Mr. Abdulla Yameen Abdul Gayoom, the President of Maldives and hosted a banquet in his honour yesterday (January 2, 2014) at Rashtrapati Bhavan. Welcoming President Gayoom, the President said in coming to India on his first State Visit abroad, the President of the Maldives has reflected the priority attached to the bilateral relationship with India and the same is fully reciprocated. The President said recent Presidential elections and the smooth transition of power in Maldives is testimony to the strengthening of democracy in Maldives. India appreciates the efforts of the political leadership in the Maldives in ensuring a free and fair electoral process and a constructive outcome. The President said among the areas of close cooperation between India and Maldives is our excellent defence and security relationship. India, like Maldives, would like to see uninterrupted peace and security prevail in the Indian Ocean region. Both countries have had to address the challenges of piracy, smuggling, extremism and religious fundamentalism. India remains fully cognizant of the needs of Maldives in dealing with these issues and is committed to assist in achieving the defence and security objectives of the Government of Maldives. 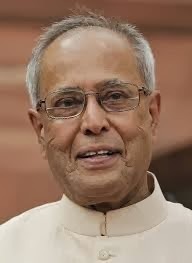 The President said India wishes to work with Maldives and other like-minded nations to ensure peace in the Indian Ocean region. India and Maldives are natural partners in this enterprise. At a regional level, the two countries can do much more to enhance cooperation among the States to achieve better maritime domain awareness and increase coordination and surveillance by them. India has always been happy to extend support and assistance, as and when required, to Maldives. India shall be happy to continue to do so in the years to come. India would like to see Maldives continue to be stable, peaceful and prosperous, fulfilling the aspirations of its citizens.